...everyone will get the new Timeline. And here’s the important part: when you do, you’ll have just seven days to preview what’s there now, and hide anything you don’t want others to see. In case you’re unfamiliar, the Facebook Timeline makes it far easier for you to travel back through your Facebook posts – posts which normally disappeared off your Wall and into oblivion. The posts from these previous months and years are now accessible through new navigational elements on the right-side of your screen that let you quickly travel back in time to the day you were born. You can fill in data from your pre-Facebook years using the new status update box, which now includes support for adding a specific year and various “life events.” These events include things like marriages, births, deaths, new jobs, trips and vacations, new homes, and other things you might want to record in the scrapbook-like Timeline. With Timeline’s added ability to find older posts, including those from the days before your boss, grandparents, mom and dad were on Facebook, users will need to do a rapid cleanup on their profiles when the Timeline goes live. Everyone on Facebook is wailing about this. There is nothing I have ever written on Facebook that I wouldn't allow the entire world to see; therefore, I care not that the new timeline will make stuff accessible to everyone. What's the secret? There is no secret. I write every status (and blog post, for that matter) as if the entire world will see it. I weigh the consequences and benefits of particular postings and then decide whether or not to click "submit." I also choose not to write about "marriages, births, deaths, new jobs, trips and vacations, new homes," etc. In my humble opinion, these are not things that need to be broadcast to 500 of my closest friends (and to everyone else who is watching). Can we please stop acting like victims of the evil and unstoppable Zuckerbeast when our own laziness and ignorance to the progress of technology has put us in a bad position? I have said it before: we are responsible for understanding the technology in which we decide to participate. As far as I know, so far, no popular social networking site has forcefully conscripted anyone. And, as far as I know, no social networking site has sent Ninja spies into government offices and bedroom night stands in an attempt to steal personal tidbits. Sure, these sites dig up as much as they can -- but they dig it up out of what we are willing to provide in profiles and expressions. It is a bit of a game of chess, for sure. But if you are not willing to play it, you shouldn't jump into these sites. Everything you click "like" on is a message in a bottle that anyone can pick up as it drifts out upon the digital ocean. Click that you "like" bow-hunting, and you will be profiled as a hunter. Write a status that refers to peanut butter, and advertisers will assume you have nutty leanings. If you don't want to think, don't sit opposite Kasparov at the board. 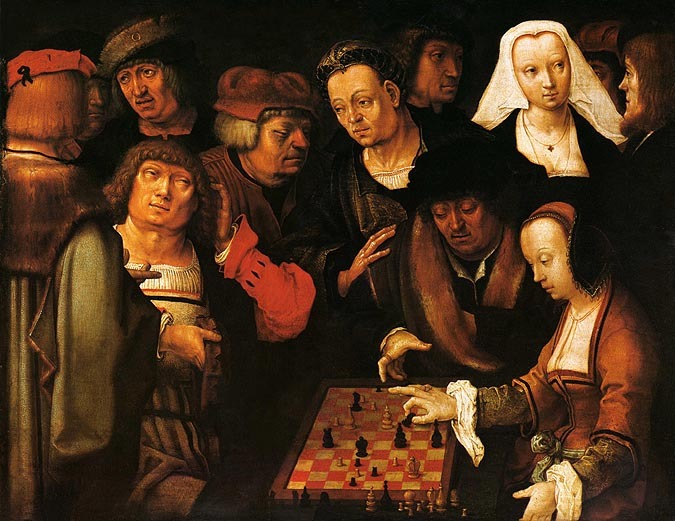 In this virtual chess match, the social networking designers are your opponents. You can either choose not to play (which makes perfect sense), or you can control what you give them to play against you with. Facebook doesn't know where I work, and neither do you (unless you know me outside of H&R). Dig? You might know what I do, but that is because I willingly shared it. You want to see what my living room looks like? Stop by with beer and a pizza. You don' know where I live? Well, honestly, that's because I don't choose to let you know that. No one earns access to my living room (as if it is Mecca or something) by clicking pictures on a blog or on Facebook. I just think if one controls what one says and if one limits how much of one's interests one shares on the digital waves, one has little to worry about. Now, if the sci-fi stories come true, we have problems. But something tells me that if this happens, the sheep will be standing in the newly locked pen, bleating about the unfairness of the world around them. I'd love access to your Mecca room. That'd be awesome! And well made point in this post. I'd also like to hear what you, or Albrecht have to say on the topic of this weather. Papi -- Albrecht has been walking around in what he calls his "smallclothes." Not attractive. I sometimes get emails from friends checking in, asking me how I'm doing, etc., because they can't tell whether my life is going well or badly based on my Facebook posts. I take that to mean I'm doing something right. You are, indeed. That's the way to do it, I say. Brilliant, agree with every word.